Show-stopper Christmas carols and favourite Christmas songs packed the evening out with Christmas cheer, love and hope. Thank you to everyone in the LIGC singing with such joy, the orchestra raising the roof with us, and our fabulous volunteers, back stage and front of hall, and of course to our audience, who came and sung with us, and to The Salvation Army for the location, Regent Hall, in Oxford Street, central London. Thank you to everyone for making our first MD Brunch Conference such a success. We had some major training on all things vocal: Leading, Vocal Health, and Teaching, PLUS we shared material, exchanged ideas and support and all with some of the finest vocal leaders in the country! 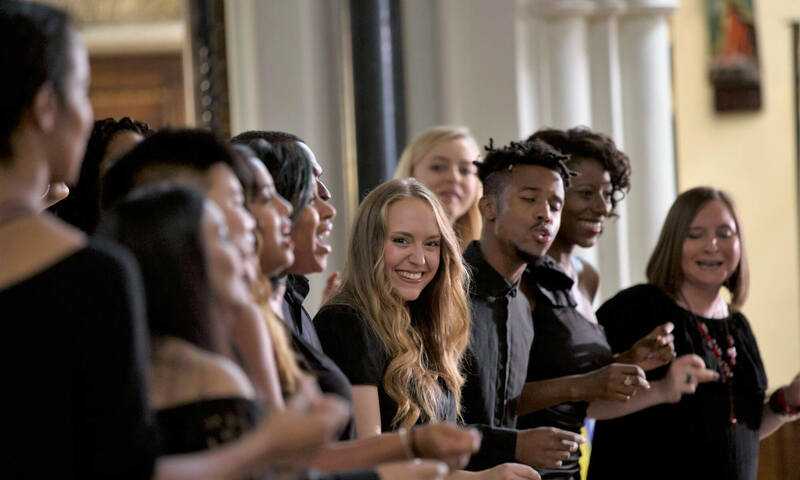 London International Gospel Choir (LIGC) is an award-winning 100-strong adult ensemble that worked with Deke Sharon (MD to the ‘Pitch Perfect’ films) in BBC 1’s ‘Pitch Battle’. London is a fantastic mixing pot of people and we celebrate this diversity in a welcoming fun environment. The choir is open to all, requires no auditions and sings uplifting material, including Gospel, pop/funk/soul and African traditional. Co-leading the New Young Voice Collective (NewYVC) with Jane Wheeler, Nav works with young talented singers from Newham, at Stratford Circus Arts Centre, London. 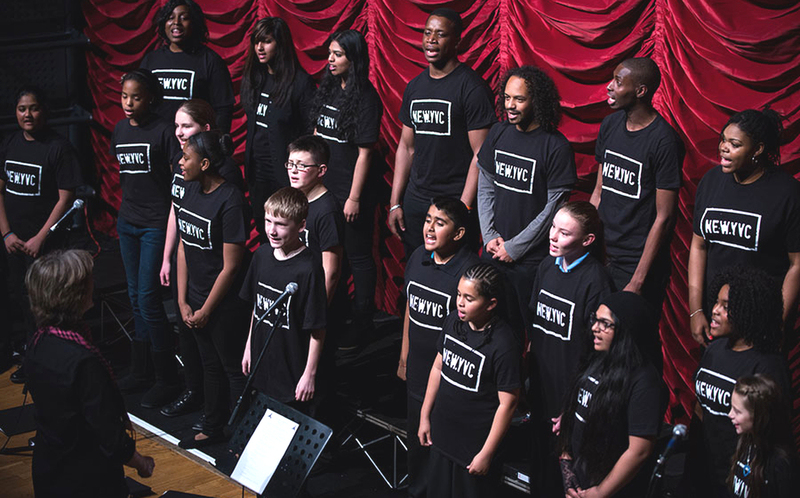 This high-level choir has great relationships with Southbank Centre, Voicelab, and Youth Music, and sends out trained senior choir members to 30 schools in Newham. The current 3-year project follows on from a 2-year project that culminated in July 2017, when 500 youth and three international choirs performed in the Royal Festival Hall. The amazing Liberty Choirs go into prisons to enable residents to connect socially with others and feel the potential for them to access the arts. A ‘Through the Gate’ programme gives people living out custodial sentences the confidence to rely on the relationships built within the choir to then join the choirs in which the volunteers sing once they have been released.